On 13 November 2017, Somaliland will hold its third presidential election. A team of 60 international election observers from 24 different countries – including representatives of the Unrepresented Nations and Peoples Organization (UNPO) – have arrived in Hargeisa. The international election observation mission (EOM) will undertake various tasks before, during and after election day, such as examining the pre-election campaign, verifying access by political parties to locations for campaigning, the equality of access to the media, the procedures which will be employed for the distribution of election materials, voting itself and the counting and tallying of ballots. This election will be a landmark for Somaliland as this is the first time an incumbent does not run again for presidency, making it an important phase in Somaliland’s consolidation of its representative democracy. 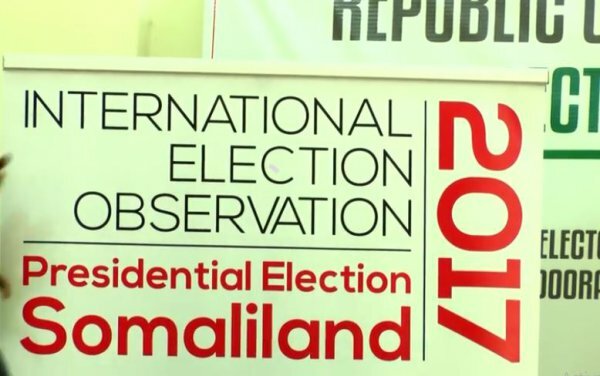 International observers of Somaliland’s presidential election on 13 November 2017 arrive in Somaliland, hope for a successful and peaceful poll. Ahead of Somaliland’s third presidential election on 13 November 2017, the first members of a team of 60 international election observers have arrived in Hargeisa. The EOM is led by the Development Planning Unit (DPU) at University College London (UCL), and Somaliland Focus UK. Team coordinators will examine all aspects of the pre-election campaign, including access by political parties to locations for campaigning, the equality of access to the media, and the procedures that will be employed for the distribution of election materials, voting itself and the counting and tallying of ballots. The full team, which includes observers from 24 countries, will assemble on 8 November, departing Somaliland 16 November, with a small team remaining to observe the post-election period, including the declaration of results. The EOM will observe polling stations across Somaliland’s six regions, and will publish its final report in the first half of 2018. For a pdf version of the press release, click here. For the Somali version of the press release, click here.